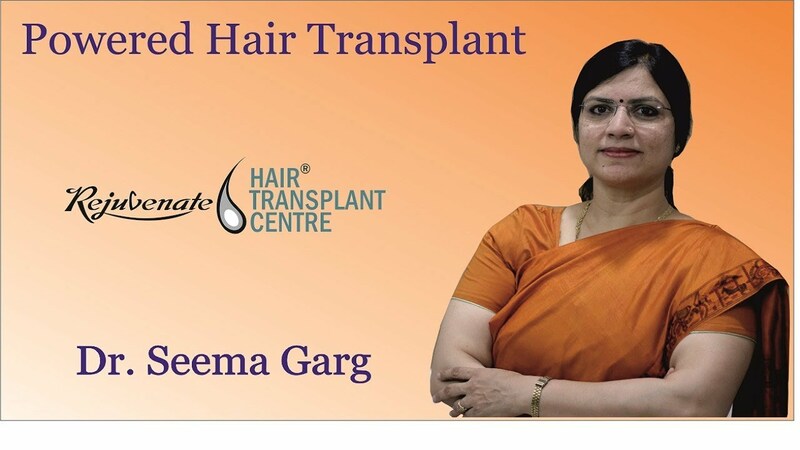 All hair transplant was done at our centre whether FUT, FUE and BHT are Powered Hair Transplant.In this we do PRP in graft recipient are before hair transplant.Platelet-released growth factors stimulate stem cells of follicles resulting in better hair growth.After harvesting follicles, they are kept in specialized graft holding solution.This solution provides energy and essential nutrients to follicles thereby combating ischemic effect. We implant all hair follicles using no touch to root technique so most important delicte portion of hair follicle is not touched at all.We also advise or do Low Light Laser Therapy after a hair transplant.These all things enhance the ultimate outcome of hair transplant. 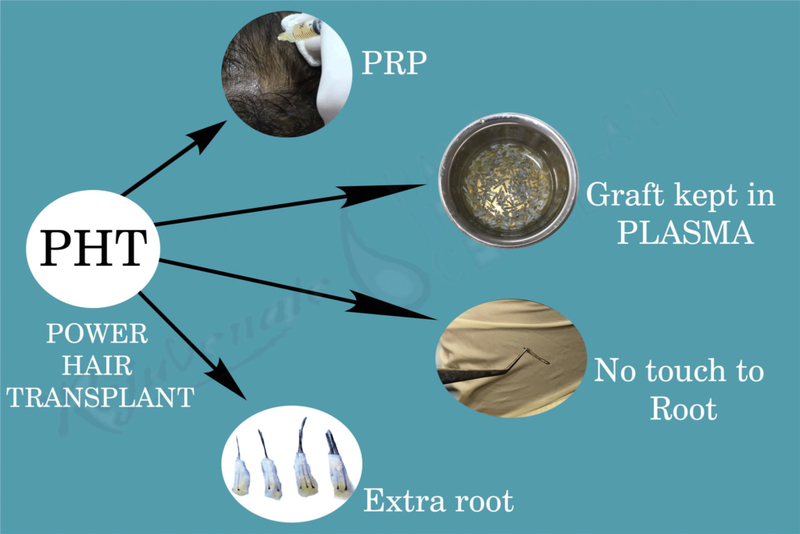 Hair roots are kept in specialized solution. This gives nutrition to the hair root. Fibrinogen of plasma gets converted to fibrin which forms a 3D fibrin scaffold in which activated platelets are trapped and release various growth factors. 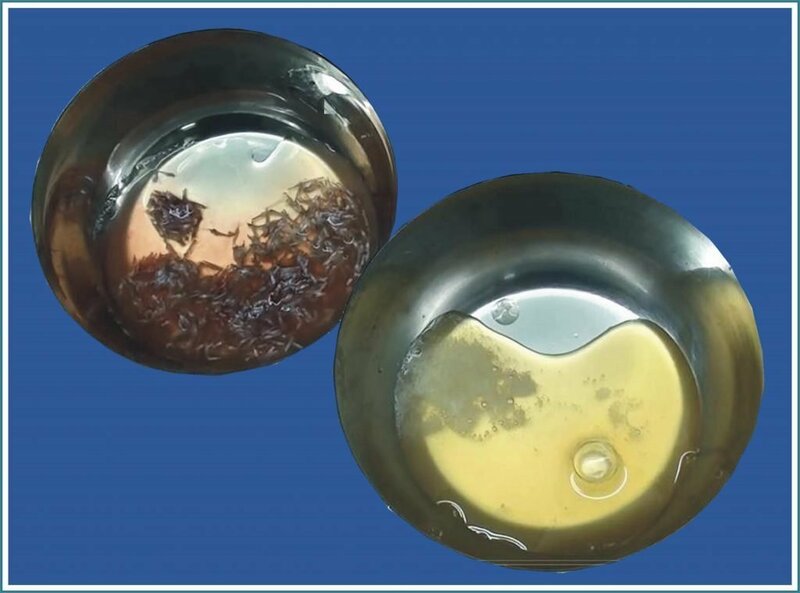 This media is being used for various cell culture and as cell transfer media. It also provides a Biological environment to follicles outside the body. Any type of hair transplant ie FUT and FUE can be powered by this technique.